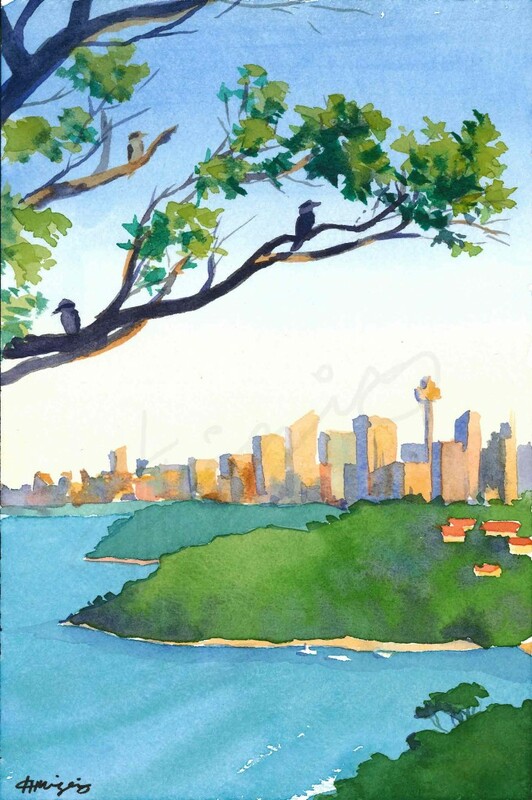 This painting is done from the vantage point of Gunners Barracks in Sydney. 3 kookaburras staying cool in the summer heat look out at Sydney city skyline in the background. Painted on acid-free cold-press watercolour paper with Winsor and Newton paints.